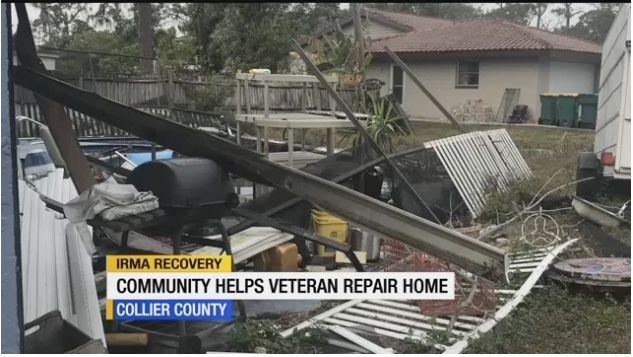 More than four months after Hurricane Irma, neighbors in Naples are banding together to help a veteran at risk of losing his home. 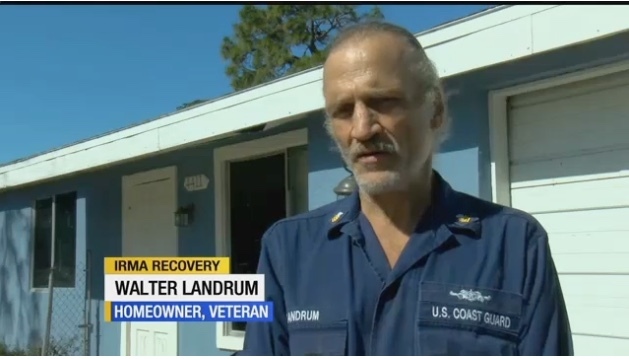 US Coast Guard vet Walter Landrum, who served for 28 years, was already down on his luck when the hurricane ravaged his property, and he wasn't able to clean it up. "It's been a nightmare," he said. "But not as bad as some of the nightmares I've seen in the Coast Guard." He knows things could always be worse, but it got pretty bad after Irma. "A coconut hit the window, sounded like an explosion." He wasn't able to clean up because he was caring for his wife, who suffered from congestive heart failure. "I was with her every day for the last three years. So I'd start cleaning the lanai, and she'd be wracked with pain and terror, and I'd come back to her," he said. She passed away right before Christmas, by which time his neighbors realized he needed help.